On January 1, 1984, the first day-care centre of the University opens after years of preparation. More than eighty children are signed up for the sixty places available in four groups. 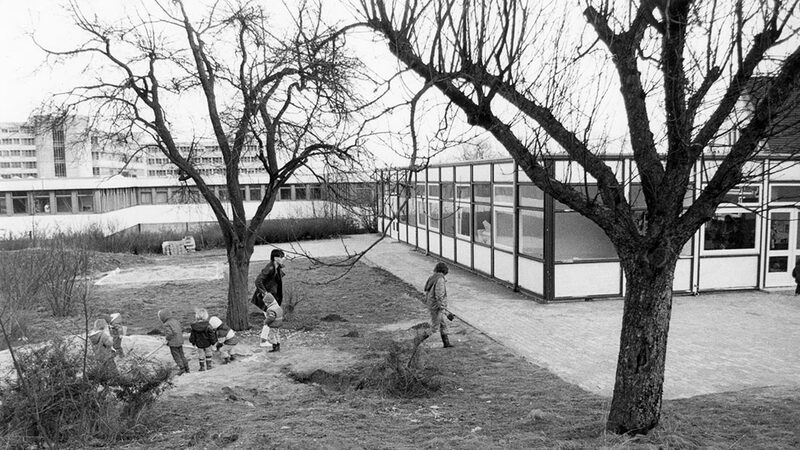 The Parents’ Association “Kindertagesstätte an der Universität e.V.”, was founded as early as 1972 and worked hard for years to start the political and administrative initiatives that lead to the establishment of a university day-care centre. 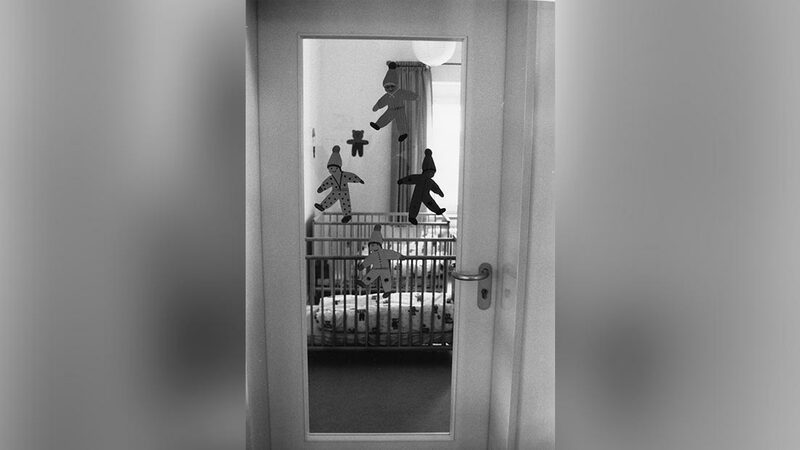 The day-care centre, view into a group room, January 1984. 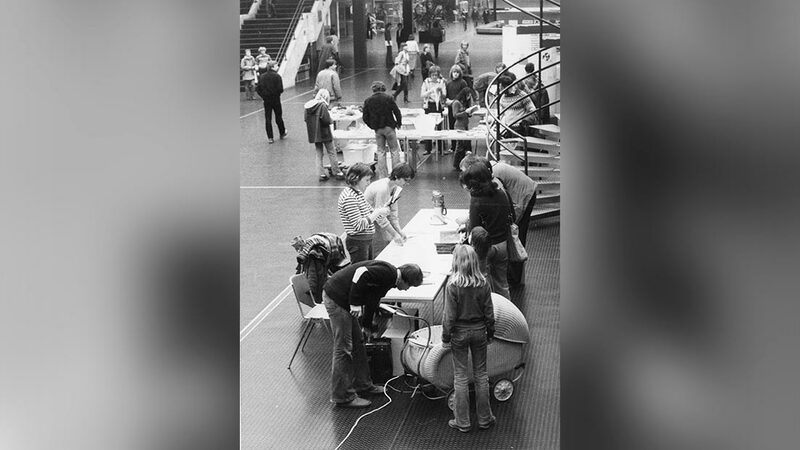 Demonstration of parents and children for the creation of a day-care centre in the atrium building, November 1978. Opening of the day-care centre in the atrium building, January 1984. Collection of signatures for a day-care centre, March 1980. Acoustic support comes from a pram from which baby cries are heard. For years, the Parents’ Association tried to obtain premises for a day-care centre for university members. The appropriate building for this, the atrium house below Werther Street, had been empty since the mid-1970s, but was not made available by the District President and was later used by the social security and pensions office. In order to revive the discussion about the day-care centre, the association held demonstrations and other activities at regular intervals. The University asked the Minister of Science to call upon the district government to release the building and offered space in the Development and Provisions Centre (AVZ) as compensation. This exchange finally took place in 1983. 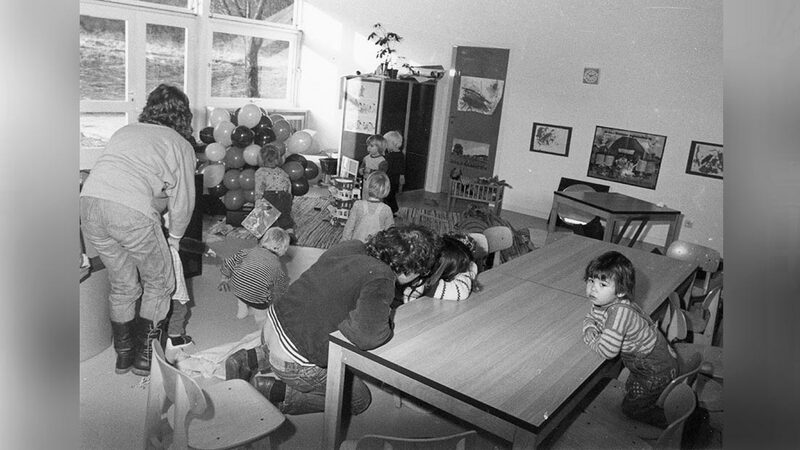 The day-care centre, operated by the parents’ initiative, opened at the beginning of 1984. Since at least the early 1990s, it was clear that one nursery school would not meet the need for childcare at the University. 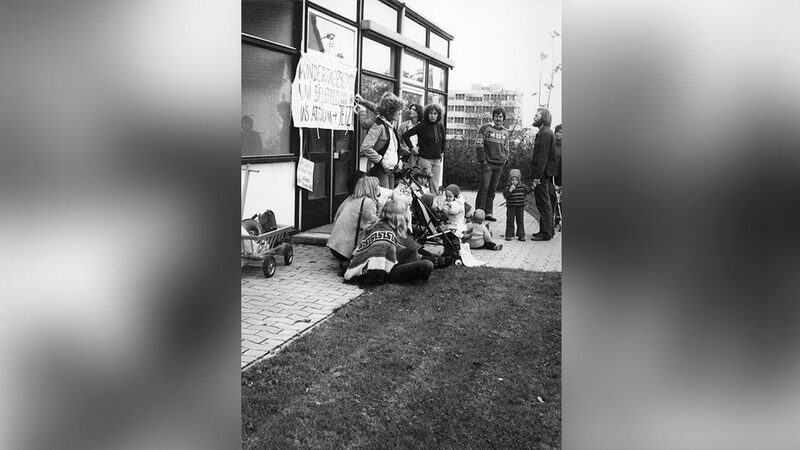 For this reason, the AStA (student union) considered setting up another day-care centre in conjunction with the Studentenwerk (Association for Student Affairs). The latter body agreed to manage the running of the nursery upon its establishment. Through its Kita-AG, the AStA not only participated in the project in terms of planning, but even financially. It was able to contribute 300,000 DM to the total construction costs. The lion’s share of the financial support was provided by the city of Bielefeld. 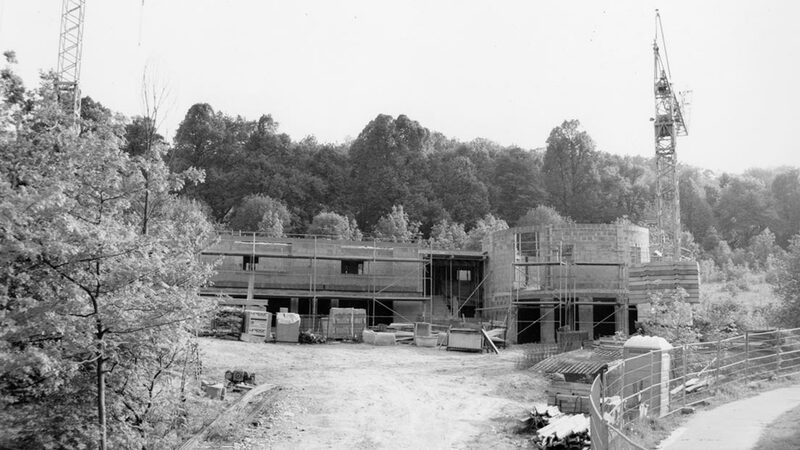 The new day-care centre, built within a stone’s throw of the first nursery, opened its doors in April 1997 for 75 children in five groups. Shell construction of the day-care centre of the Studentenwerk (Association for Student Affairs), July 1996. Donation from the Biology summer party for toys for the new day-care centre of the Studentenwerk (Association for Student Affairs), July 1996. 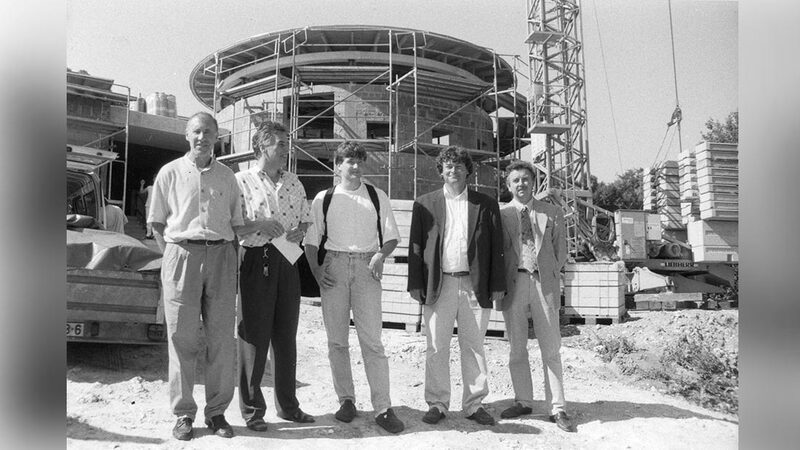 From left to right: architect Horst Grube, Günther Remmel (Managing Director of the “Studentenwerk”), Eggo Ortmann (AStA Chairperson), Professor Dr. Wolfram Beyschlag (Biology), Professor Dr. Rudolf Eichenlaub (Biology). Opening of the day-care centre of the Studentenwerk (Association of Student Affairs), view into the sleeping quarters. 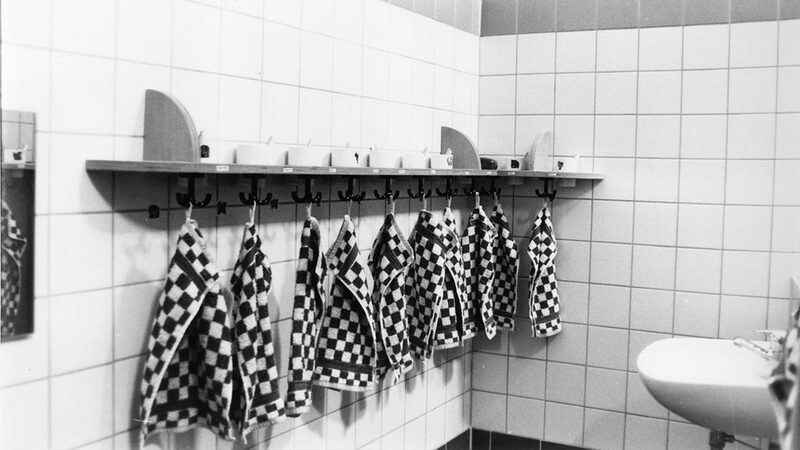 Opening of the day-care centre of the Studentenwerk (Association for Student Affairs), view into a washroom. Opening of the day-care centre of the Studentenwerk (Association for Student Affairs) on April 18, 1997. From left to right: Dr. Michael Vesper (NRW Minister of Construction), Mehmet Kilicgedik (Mayor of Bielefeld), Rektor Professor. 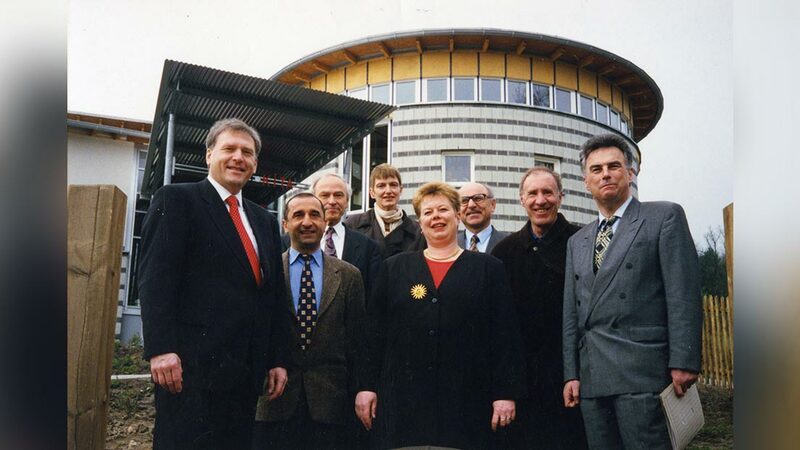 Dr. Gert Rickheit, Barbara Schwarz, Barbara Budde, Under-Secretary Ernst Zieris, architect Horst Grube, Günther Remmel (Managing Director of the “Studentenwerk”). Since summer 2006, the university has also been able to offer its own childcare services for its employees, initially for thirty children. The day-care centre in Jakob-Kaiser Street was established in cooperation with the protestant Dietrich Bonhoeffer church community. Thus, Bielefeld University became the first university in Germany to offer its academic and administrative staff this service.